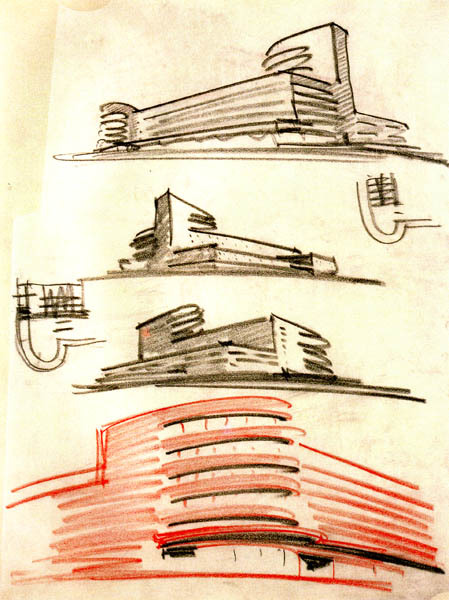 Rem Koolhaas and the power of architectural sketches…. Architects are holding in their hands a powerful design tool…. their sketches. The “conscious inspiration Method” Encourages architects to develop design tools that match their skills and desire. Here is an intriguing example…. 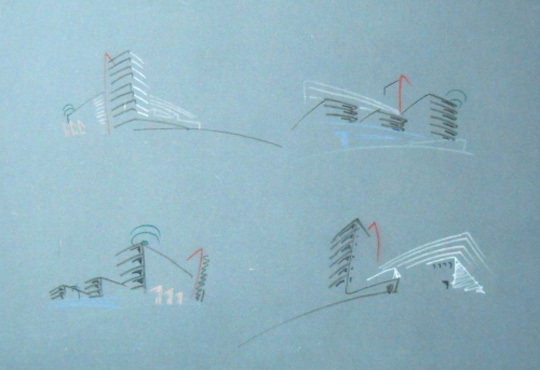 A leading architect, Rem KoolHaas ,adopts Mendelson’s (1887 -1953) Expressionist sketches and use them as a powerful design tool .